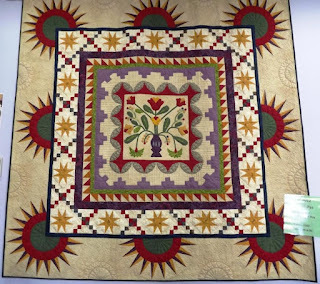 I entered these three quilts in EKKA, in the Quilts Across Queensland category. Judging was today so on a whim I went onto the website tonight and the results were already up. SewToisPas a collaborative effort quilt between Gail Chalker (applique), Susan Harris (piecing) and myself (curved piecing and NY Beauty and machine quilting) won first place in its category. 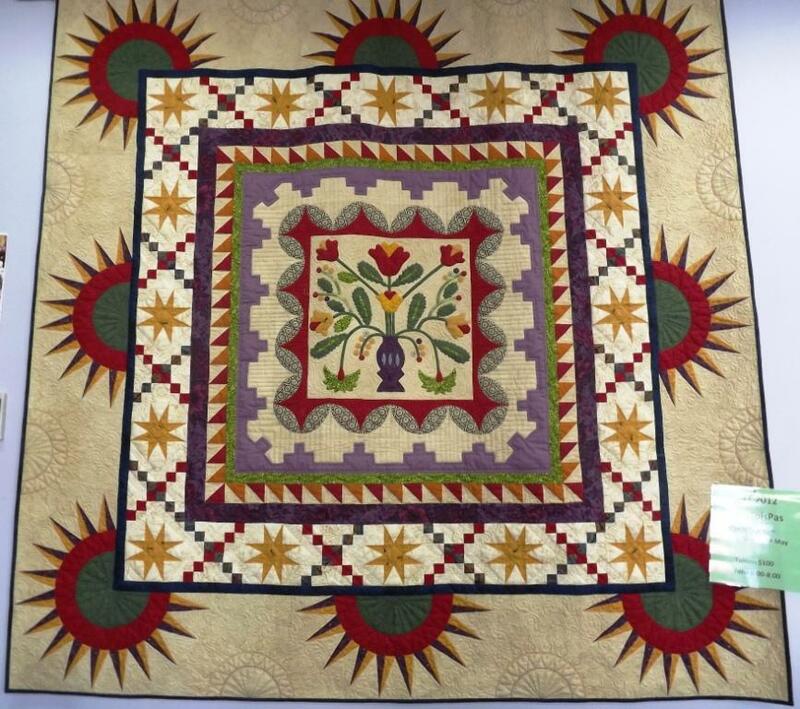 The Towoomba Quilters Club Inc raffle quilt was in the same category and it gained a second place. Shara's Bouquet my third quilt gained second place in the applique category and I say I don't applique! Might have to rethink that saying!